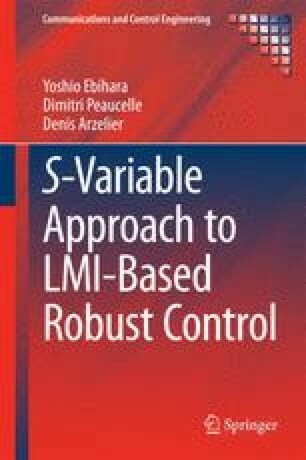 While the two previous chapters address control design cases which have LMI solutions, Chap. 6 tackles the hard problem of static output-feedback design. No polynomial-time optimization method exists for that problem, and if keeping in the matrix inequality framework, one has to resort to iterative LMI algorithms. For that important and hard problem, the SV approach produces a sophisticated version of such iterative LMI algorithm. In this case, the structuring of the S-variables reveals a virtual stabilizing state feedback. This original design procedure is detailed and tested on examples.